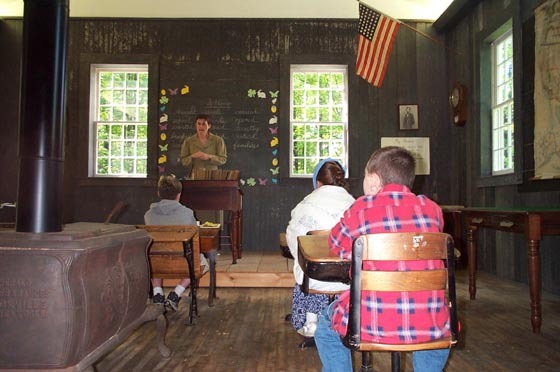 An annual event, one day each June, fifth graders from the Barkhamsted Elementary school spend a day "attending classes" at the Center Schoolhouse and experience first-hand what education was like years ago. Definitely different!!! The photo below shows students on this special day at the Schoolhouse on June 7, 2000.